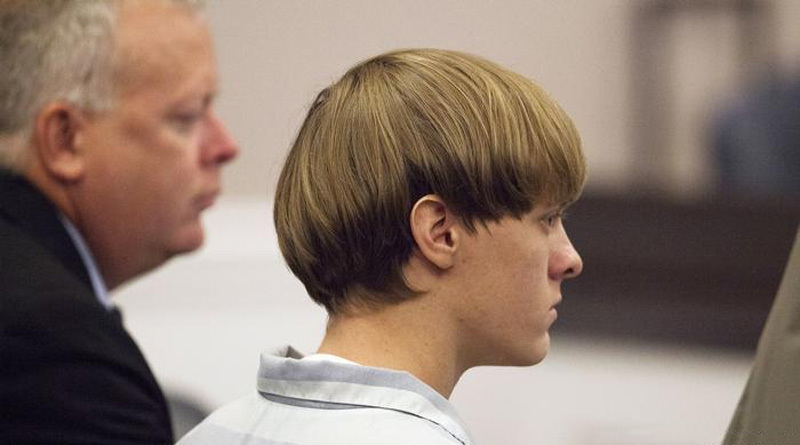 “CHARLESTON, S.C. — Dylann S. Roof, a self-radicalized young white supremacist who killed nine black parishioners last year when he opened fire during a long-planned assault on Emanuel African Methodist Episcopal Church, was found guilty by a federal jury here on Thursday. Several of us who were smeared by the Lügenpresse during that incident have been closely monitoring the trial. Fortunately, multiple reporters live tweeted the #RoofTrial and we have gained a better understanding of how this happened. “To take a saying from a film, “I see all this stuff going on, and I dont see anyone doing anything about it. And it pisses me off.”. To take a saying from my favorite film, “Even if my life is worth less than a speck of dirt, I want to use it for the good of society.”. Why is this so strange? “Every year it is always South Carolina” … number one for organized hate groups, and yet, Dylann Roof complained in his manifesto that there were “no skinheads, no real KKK, no one doing anything” in his state except talking on the internet. But that wasn’t exactly true. There are active Klan, Neo-Nazi, White Nationalist, Southern Nationalist and skinhead groups in South Carolina. Who are the REAL KKK and skinheads that Dylann Roof couldn’t find in South Carolina? It turns out he was really into Hollywood movies like American History X, Romper Stomper, Made in Britain, and Skinheads USA. He had a book on the KKK in his car when he was arrested in North Carolina. The line in his manifesto about giving his life for “the good of society” came from a Japanese movie called Himizu. Dylann Roof sat there the night before the Charleston shooting in his father’s house watching Made in Britain over and over again. In all his writings and the confession video he talks about being angry that none of the KKK and skinheads he saw in the movies existed in real life. He felt obligated to go out and “do something” to make reality reflect the Hollywood version of the KKK and skinheads. He had two suicide notes in his car and said he planned to commit suicide as soon as he was confronted by police. It sounds like he wanted to reenact the ending of the Hollywood movie Higher Learning. Instead, he chickened out and surrendered. In the confession video, he said he never talked to anyone about race or politics because he was afraid people would disagree with him. Roof was taking his cues from Hollywood movies and acting on a grand stage. He was disappointed with the groups in his own state. They didn’t live up to his expectations. I’m not surprised that the film industry, the “fake news” cartel and manufactured reality of Hollywood, would have an influence.